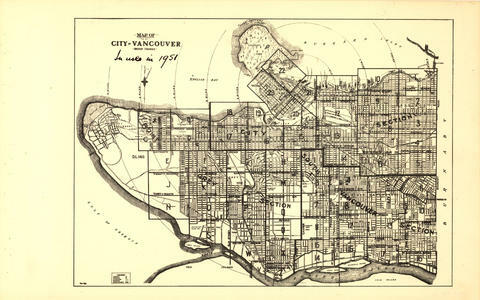 Item is an index map of Vancouver showing the boundaries of the sectional maps in this file. 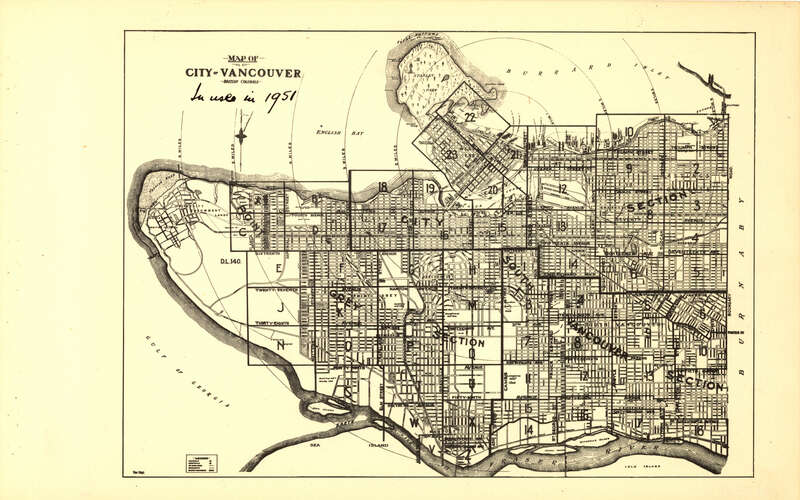 Map includes streets, roads and railways; blocks, lots and legal descriptions; First Nations reserves, golf courses, cemeteries, parks and businesses along the Burrard Inlet waterfront. Annotation in the hand of J.S. Matthews "In use in 1951" in ink on the recto of this map. A digitized version of this map is available on-line.